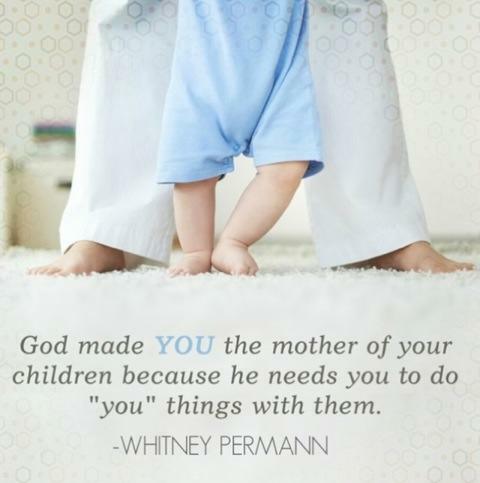 Mormon Moms: YOU are the mother of YOUR children for a reason! 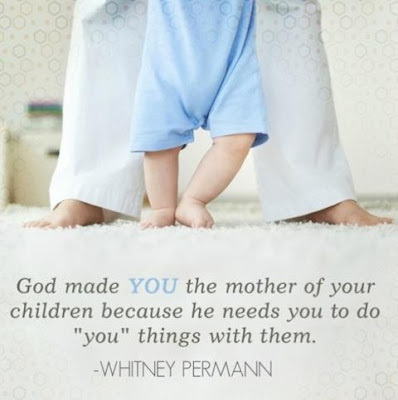 YOU are the mother of YOUR children for a reason! Sometimes, perhaps, we wonder why we are the mother of the children God sent to us. It is my belief that we are exactly the mother of our children for a reason. God knows why and may let us in on some of that information as we're prepared to receive it, and...He'll guide and direct us in raising them up unto Him. We are the mother of our children for a REASON - or for many. As we seek to know how to teach and train them, guide them into their own paths where they can best develop and grow and learn to serve others, open their awareness to joy and gratitude for who they are and why they are here, He will be there with us as...these are His children, too, and He loves them even more than we do. We're able to be their 'caretakers' for this mortal sojourn which is a blessing to us (refining process for all) and for them, when they have a mother who loves and cares for them and seeks to best help them with their true 'needs'. A BYU professor reminded me years ago that we all only have ONE REAL NEED; and that is the need to be 'Redeemed'. If we can help our children understand the same; then we have succeeded in the most important task of all!